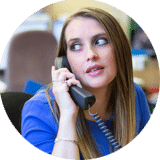 At Maitland we are a service focussed firm of chartered accountants working with small businesses across Brighton, Uckfield, Lewes, Tunbridge Wells and many parts of East Sussex. 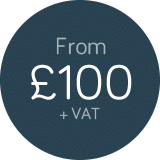 Specialising in contractors, freelancers, consultants and small businesses; our aim is to help your business grow, streamline your accounts procedures and to save your business money. Let us help you lighten your workload with all the latest online accounting techniques, and relax knowing you have a proactive team that keep your finances up to date and prepared for any business eventuality. Get in touch to arrange a no obligation meeting about your business today or feel free to browse our site to find out more about what we do. Streamline your accounts with ClearBooks software. Easy to use, you can log-in any time or access the mobile app to scan receipts, invoice clients and import transactions automatically. 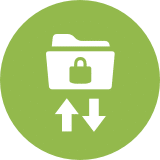 Safeguard your data and exchange documents with confidence, using our secure client portal. We maximise your online safety with strict backup procedures, client-defined access rights and military-graded encryption. Our dedicated team deliver a personal service you can rely on. We give professional advice, based on considerable industry experience and a thorough understanding of your business. Know where you stand, with all-inclusive packages, fixed prices and no nasty surprises. 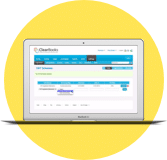 Gain unlimited access to ClearBooks cloud software and spread the cost of accounting with a monthly standing order. Help! I need urgent advice!